REVIEW – Over the past year or so, I have tested and reviewed a few soundbars, and so far I have been very satisfied with each one. Most of them have been reasonably priced and have included features that make them quite versatile. I now have the opportunity to test and review the Creative Stage Air Soundbar. Hopefully, it lives up to the standard set by the previous models. 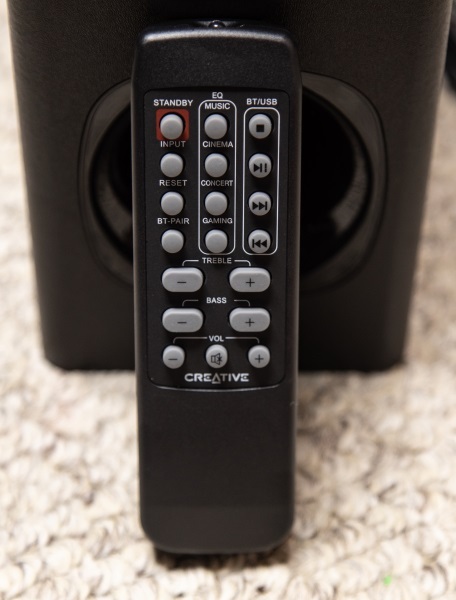 The Creative Stage Air Soundbar is described by the manufacturer as a High-Performance Under-monitor Soundbar with Subwoofer. It is versatile with several connectivity options including Bluetooth. It also works in many other scenarios including as a stand-alone speaker system. 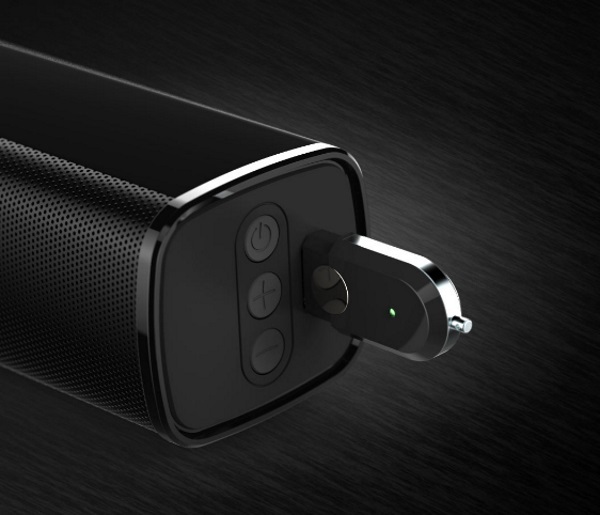 When you power on the soundbar, you are able to see the selected input on the LED display behind the speaker grille. In the picture below, you can see the “bt” selection for Bluetooth mode which you select to pair to your phone or other mobile device and to play from that device once paired. 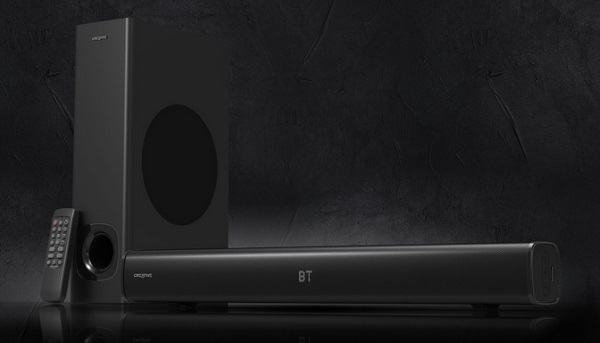 On the back of the soundbar at each end, there is a bracket for wall mounting as well as the built-in power cord. On the right side of the soundbar (if facing the front), there are 3 control buttons that control the power and volume up and down. There is also a USB port for playing MP3 audio files via an external USB. It is compatible with USB mass storage devices of up to 32GB and formatted as FAT32. 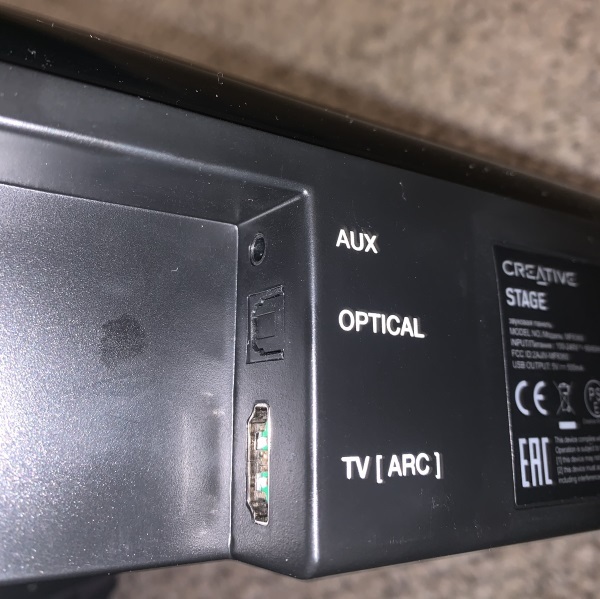 On one side of the back of the soundbar, there is an indented section with the 3 audio input ports. On the opposite side of the back, there is the subwoofer port to plug in the accompanying Subwoofer. 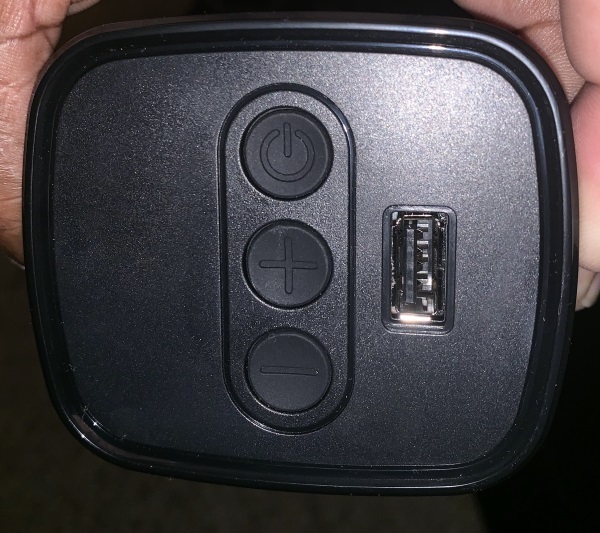 The remote control is well laid out with control buttons for each function/feature. 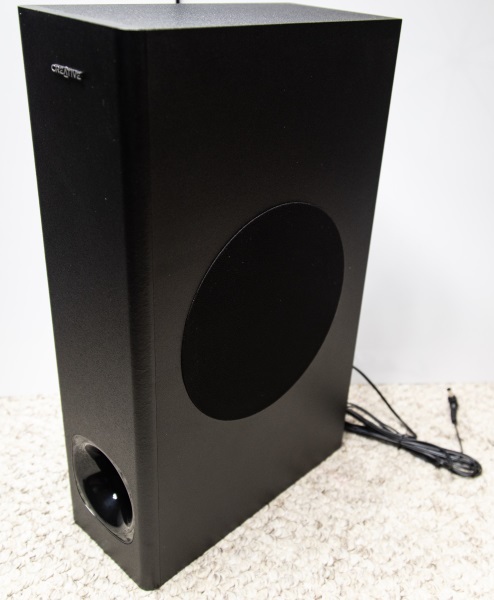 The picture below shows the included side-firing subwoofer. There is a port on the front. The built-in connection cable comes out of the back of the subwoofer. Right out of the box, it was extremely easy to set up this soundbar and subwoofer. 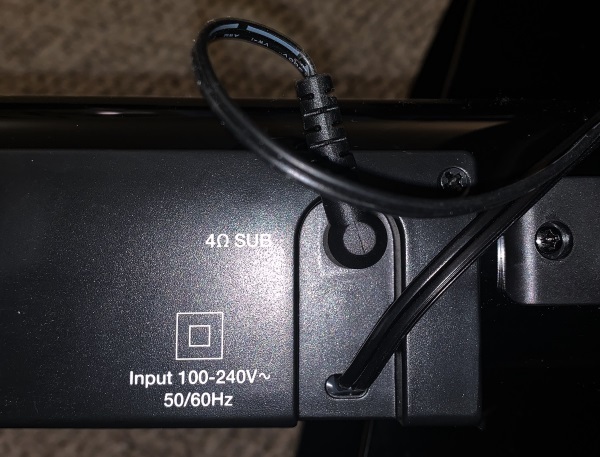 One wire connects the subwoofer to the soundbar, and there is one AC power cable from the soundbar. Once I plugged it in, I moved on to the process of connecting to my cell phone via Bluetooth. The Creative Stage appeared immediately in the list of available Bluetooth devices on my phone once I pressed the Bluetooth button on the remote. 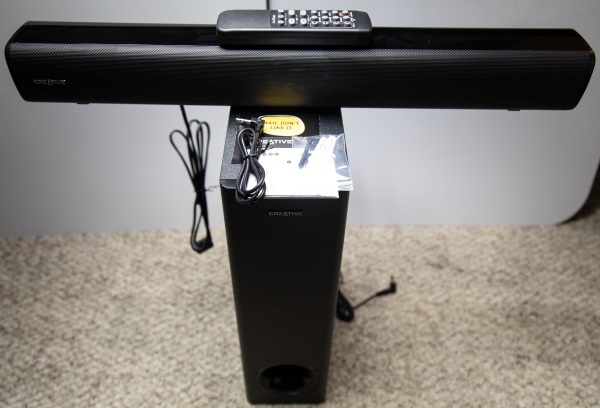 While this soundbar and subwoofer are touted as easy to connect and use with your computer, and it is quite obvious that is true, I was more enthusiastic about playing it as a stand-alone system as well as an audio system for my TV and for my BenQ HD projector. I started with the Bluetooth connection and was very surprised by the sound that comes out of this system. It is loud, clear and definitely has enough bass. My only critique is that I wish it had more highs/treble. Next, I connected it to my TV via the optical cable and it was good to go. There it was again with really enjoyable sound. While I will admit that it does not reproduce the perfect separation of surround sound, and while it is at times a bit difficult to discern the left/right separation, it is very acceptable given its size, cost, footprint, and overall sound reproduction. My next test was on my BenQ projector via the 3.5mm cable. I can tell you that it made Mission Impossible-Fallout a pleasure to watch. This soundbar is lightweight but seems well built. Many years ago, I purchased a Yamaha soundbar for almost $2000, and I still have it to this day. While I thoroughly enjoy it, I do not find it practical to purchase such a large soundbar for every TV, nor do I find it cost effective. These days, there are many brands and models of soundbars that do an acceptable to amazing job of sound reproduction, and they do so and a very attractive price. This soundbar while not perfect is definitely a good example and balance of Price vs Features vs Sound vs Size vs Versatility. Well done Creative! !